At KRC we teach you how to use creativity combined with The Toyota Way to Service Excellence lean principles and practices. This enables you to create better ways of working so that you can satisfy each of your customers, be more effective and efficient, differentiate your company from your competitors, and fulfill your purpose for the long term. Develop your team’s ability to create new services and service delivery experiences your customers don’t yet know they want. 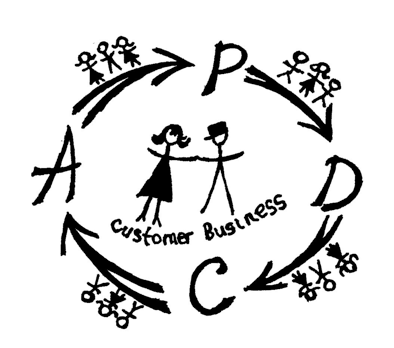 Provide flawless service delivery to retain your current customers and grow your business by attracting new ones. 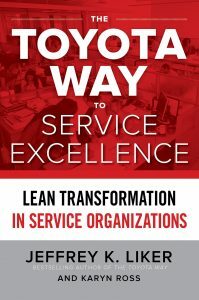 Use Toyota Way to Service Excellence principles and practices to create a company-wide culture of service excellence. Continuously enhance your team’s ability to deliver exactly what each customer wants, when they want it, right the first time. 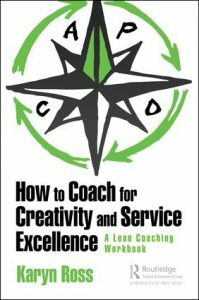 How to Coach for Creativity and Service Excellence: A Lean Coaching Workbook is a self-contained workbook, enabling the reader to complete twenty-one days of practical exercises and activities focused on creativity, lean and coaching (one set per day). 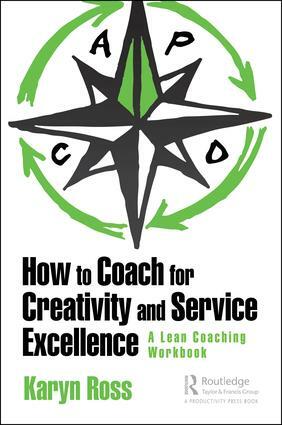 This will enable the reader to develop their capability and confidence to be creative, adapt lean principles, practices and tools to their unique service organization and coach others to do the same. The workbook will guide the reader through a structured, systematic, easy-to-understand, habit-building approach, and function as the reader’s ‘coach’. Written in a workbook style, each chapter contains a short section of theory (including examples drawn from a wide variety of service sectors), then exercises and activities that you will complete right in the workbook to turn theory into the practice that ensures real learning. As you ‘work’ your way through the book, you will reclaim your creativity, learn Karyn’s tried-and-true 15-minute a day coaching approach and adapt lean principles, practices and tools to your own particular organization. KRC is a different kind of consulting company. We’re simply on a mission to fulfill our purpose of Helping People Improve the World. At KRC we want to help your company learn how to create better ways of working so that you can help more people and fulfill your purpose! That means we’re actively looking for ways to help as many people as we can! Think your business is too small to afford our help? Think again! KRC’s unique ‘Right-Sized-Price’ business model means that every sized company can get the help they need. Worried that you’re too far away? Don’t be. KRC helps people all over the world! Our expertise in remote coaching, consulting and workshop facilitation means that the help you need is only a Skype or FaceTime call away! And at KRC, you’re never just a number. You’re a valued and valuable human being. That’s what you’ll be after working with KRC! Using our Coached Practice ‘learn-by-doing’ approach you’ll immediately start learning how to create better ways of working by creating them, in your workplace, supported by your coach. And best of all? Our 3 times-a-week, 15-minute coaching sessions are designed to help you become capable, confident and independent in 6 to 12 months! Although results are important, at KRC we know they aren’t the only thing. Creating respectful, caring, kind and compassionate ways to work are just as important. Because that leads to an engaged team, better relationships with customers, suppliers and vendors and a better world. And it will allow you, your team and your business, to flourish thrive and grow forever. At KRC we're dedicated to helping your business flourish, thrive and grow now and for the long-term. To learn more about how KRC's consulting, coaching, workshops and speaking can help your organization develop the capability and confidence needed for ongoing, long-term success, click on the tiles below. Does everyone in your organization have a deep understanding of your purpose? Does your company have a Vision of Service Excellence? Most don’t. Although many companies have vision or mission statements, they’re usually focused internally – on what the company wants to achieve – not externally – on what their customers want and need – now and for the long-term. At KRC, we believe that service – and service excellence – is ultimately about putting the needs of others – your valued customers – above your own. And, in order to do that everyone must have both a deep understanding of the organization’s purpose and a shared Vision of Service Excellence. That’s why KRC always starts by helping your leadership team create your Vision of Service Excellence. Firmly rooted in both your company’s values and a deep understanding of your customers’ needs, your Vision of Service Excellence will give everyone a clear and simple picture of what service excellence looks like and what they’re striving together towards. Then we’ll help you turn your vision into reality through our unique, highly effective, learn-by-doing, Coached Practice approach. Once you’ve created your Vision of Service Excellence, KRC will help you start turning that vision into reality immediately. • Work with people’s work schedules, not against them! Short, frequent coaching sessions don’t disrupt work and insure daily progress. Speed: No time wasted in long, theoretical, up-front training classes. People simply start learning by doing. After 6 weeks of being coached, people are ready to begin coaching others. Scalability: Because people begin coaching others quickly, creating better ways of working through Coached Practice scales quickly and organically throughout the organization. Sustainability: Experiencing the real-life, immediate impact of learning by doing and teaching others in alignment with the organization’s Vision of Service Excellence insures long-term sustainability. Engagement: What really engages people at work isn’t jeans-days or pizza parties. It’s the intrinsic reward of being part of something bigger than oneself and truly serving the needs of others. And that’s what Coached Practice provides. Coached Practice. It’s what differentiates KRC’s approach from others and why the people we help are so successful in continuously creating better ways of working, now and for the long-term. If you’re looking for a workshop that is low on PowerPoint slides and boring theory, and high on practical, hands-on, learning by doing, then our workshops are for you! All workshops are suitable for conferences, consortiums and team events and are available in ½ Day, One-Day and Two-Day formats. Remote and in-person options available. And, as an added bonus, all workshop participants create a What’s Next Plan to turn their learning into action in their workplace and receive a follow-up ‘help’ session two weeks later! Looking for a way to engage your team in ongoing professional development that applies directly to your workplace? Then KRC’s Professional Development Series are for you! 45-minute, remote or in-person, guided Practical Creativity and Divergent Thinking experiences. You are Creative! Oh Yes YOU Are! Fulfilling Your Purpose: Your Business is About More Than Making Money! Don’t see a workshop, professional development series or speaking topic that would help your organization? Then give us a call! We’d love to create one that meets your needs! At KRC we understand that everyone has a budget. And that everyone needs help. That’s why we don’t have set prices for any of our services. We simply ask that you look at your budget and what’s comfortable for you. Then we’ll work together to figure out what KRC can do to help. Our Commitment: KRC will never turn away anyone who is truly committed to learning, to fulfilling their purpose and making a better world. We’ll always find a way to help! Helping People Improve the World means that KRC will respect each person’s humanity while supporting them as they gain confidence in working together in new ways. By teaching people to be creative thinkers, we enable them to solve problems, make improvements, build relationships and create communities inside and outside of work. Service: Help is more valuable than money. Service means putting the needs of others above your own. 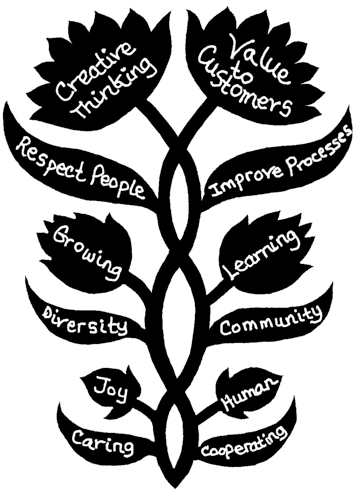 Synthesis: Bringing together, not taking apart; ‘And’ instead of ‘Either/Or’; Making connections that build peaceful communities. Multiplicity of Perspectives: Every being is different and put here on earth to fulfill its unique purpose and make a necessary contribution to the whole. ‘I can’: Everything you can imagine is real (Pablo Picasso); The difficult is what takes a long time, the impossible just takes a little longer (Fridtjof Nansen). There is always a way: we simply need an open mind to the spirit of challenge and the possibility inherent in seeming impossibilities. Responsibility: Creating the world we live in – now and for the future – is each of our responsibilities; with every choice we make, we are actively creating that world; KRC values finding ways of living and working that will enable life to flourish forever (John R. Ehrenfeld). All of KRC's services are designed to enable everyone in your organization to put their learning into practice immediately. In-person and remote options available. We help you develop a strong coaching culture by coaching you to coach!. We help you align your organization so that everyone strives towards your vision of service excellence together. Our workshops are customized to meet your needs and involve immediate, hands-on practice in your organization. Don’t see what your business needs here? We’ll work with you to create a custom option that meets your needs. 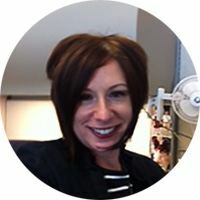 I’m Karyn Ross, author of How to Coach for Creativity and Service Excellence: A Lean Coaching Workbook, and coauthor of the Shingo Award-winning, The Toyota Way to Service Excellence: Lean Transformation in Service Organizations. 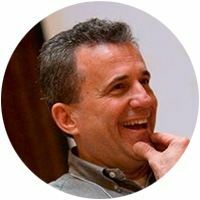 An internationally acclaimed consultant, coach and lean practitioner, I’ve taught organizations of all sizes, in sectors as diverse as insurance, HR, transportation and retail how to use creativity combined with Toyota Way principles, practices and tools. This powerful combination enables organizations to create better, more effective and efficient ways to work and the peak services that each of their customers wants, now and for the future. While many other Lean consultants focus on implementing tools, I teach your team how to use Practical Creativity™ to continuously strive towards service excellence. By developing each person’s capability through Coached Practice, I focus on the means: the ‘how’, and not just the ‘ends’ or the results, because “how we get there is as important as where we are going”. A practicing artist, with an MFA in Sculpture, I specialize in developing your team’s creativity and divergent thinking skills so that your organization can flourish, thrive and grow and fulfill it’s purpose. A Shingo prize-winning must-read for executives, managers, consultants and front-line workers, this essential book takes the proven Lean principles of the bestselling Toyota Way series and applies them directly to the industries where quality of service is crucial for success. Using the famous 4P model, Jeff Liker and Karyn Ross show you how to develop the Lean practices your organization needs to develop people and processes that surprise and delight each of your customers. Fascinating case studies drawn from original research and real-world examples of Lean-driven success in a range of service industries, including healthcare, insurance, financial services, and telecommunications, illustrate that Lean principles and practices work as well in services as they do in manufacturing. Check out Karyn's latest keynotes, presentations, podcasts, webinars and white papers! 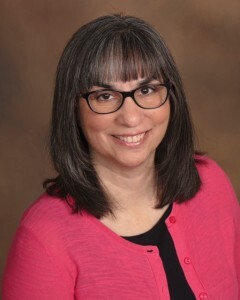 Click on a photo to read Karyn's Fresh Starts, blog posts, articles and interviews. 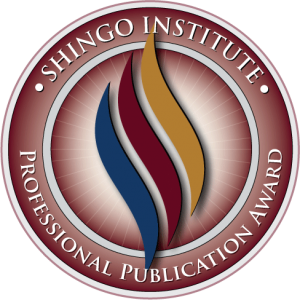 4/26/17 – Shingo Award Ceremony Reflections! 4/24/17 – Service Excellence is personal! 4/21/17 – Why striving for perfection increases creativity! 4/20/17 – Use your ‘creativity’…not your money…! 4/19/17 – How to ‘create’ real engagement! 4/18/17 – Can you ‘teach’ creativity? 4/17/17 – Solve problems…or dissolve them? Although many organizations use lean in manufacturing, Hennig has taken the commitment to serving customers one step further and harnesses the power of Lean in their service operations as well. 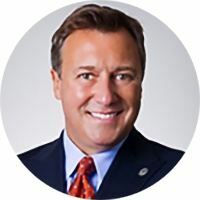 Hennig’s vision statement "To Make Our Customers Successful" is the company's roadmap to both what they want to be and how they are going to get there. Since 1950, Hennig Worldwide has been designing and producing custom machine protection and chip/coolant management products for state-of-the-art machine tools, creating regional jobs, serving their local communities, and supporting the global needs of machine tool customers. PACE’s vision is to help as many organizations as possible achieve success. 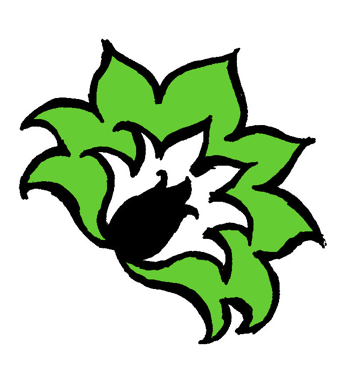 Already a well-known, successful partner for change management and continuous improvement in Northern Ontario, PACE is taking the next step on their own - and their clients’ journey - by focusing on leadership coaching. Located in Sudbury, Ontario, Canada, PACE (Partners in Achieving Change Excellence) helps clients in the human services and mining industries achieve success by combining change management and operational excellence training and consulting. Ekemp uses lean to develop creative ways to satisfy their customers, increase efficiency and stay one-step-ahead of the competition. Ekemp has found that as a small business of five, finding the best ways to work together as a team is what will help them fulfill their Vision of Service Excellence: ‘Helping You Today for a Brighter Tomorrow! Located in Bury, UK, EKemp (EK Employment Law Consultants) provides services to insolvency practitioners in fulfilling their obligations in relation to the employees of insolvent companies and to directors of insolvent companies who might be seeking to claim redundancy. Understanding that service excellence is today’s differentiator, PrimePay has used lean principles, practices and tools to create the best way to flow value to each of their customers for the past two and a half years. The PrimePay team knows that focusing on service to their customers will help them fulfill their goal of empowering small businesses to succeed. PrimePay is a company of 500 employees headquartered in West Chester, PA. PrimePay offers payroll, time and attendance, HR services, and employee benefits service and are especially focused on serving small businesses with between one and one hundred employees. By teaching people to creatively use The Toyota Way to Service Excellence principles and practices, we enable them to solve problems, make improvements, build relationships and create communities inside and outside of work! Few people get the opportunity to work with someone who not only understands lean but practices it too – correctly. Often, individuals get all wadded up on a particular tool or concept and lose track of the bigger picture. Not Karyn. I have worked with Karyn for a couple of years and have partnered with her on an approach to making lean practical, applicable and fun. She knows many of the lean thought leaders personally while also being able to understand individual situational needs of the people she works with. None of the standard formulaic methods that you get from most consultants. Rather, Karyn creates tailored programs that use classic lean concepts, embedded in The Toyota Way, that focus on identifying and meeting the needs of the customer while focusing on continuous improvement. She understands the theory and application while also knowing that there is no substitute for Going and Seeing at the Gemba. Karyn is a true pleasure to work with and can help most journeyers progress along their path towards True North. Oh, and she is a wicked artist! 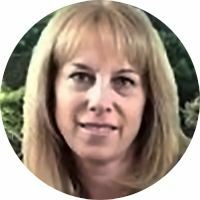 Karyn Ross is a lean practitioner, educator and coach with a passion for making the world a better place. She has outstanding lean expertise and the unique ability to turn lean thinking into delivering business results. With a focus on the service sector, Karyn applies Lean/Toyota Way principles to help organizations deliver value to their customers. Karyn’s inherent commitment to people as the heart and soul of how she coaches a team is core to her phenomenal success. Not only will your organization achieve its business goals, your people will learn how to sustain and elevate those results. If you or your organization has an opportunity to partner with Karyn, I suggest you do so; it will be an experience in driving business success you’ll not want to miss! 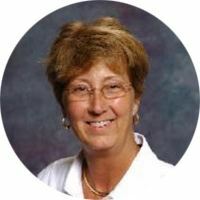 Leslie Heckler, Senior Manager Business Process Improvement - Paychex, Inc. The best coaches whether it be in sports, business, or life, not only teach you how to think for yourself, they make you feel valued as a person. Working with Karyn, she never lets me forget what I CAN do. She makes me feel safe to try, fail and try again. What I value the most about her work is she doesn’t give me the solution to my problem, she guides me to it, which forces me to learn along the way. Get your boots on because Karyn will walk with you to see your work where it happens, identify problems and help you reach your business or personal goals. With Karyn, you are not just a customer, you are a valued and respected human being. We engaged Karyn Ross and her company shortly after a major consolidation of our organization. Specifically we brought Karyn in to help us instill a new culture across our national organization using the principles of LEAN. Our goal was to seek out new and better ways to focus and serve our customers while at the same time ensuring that we were as efficient and effective as possible in this pursuit. Karyn immediately helped us train key employees to think and practice LEAN methodologies while at the same time provided Senior Executives a new way to think about how we can better service our client base and grow our company while maintaining a keen eye on the bottomline. Karyn’s work has been a true success story at our company and we continue to engage Karyn on an ongoing basis to help us develop our focus, execution, and customer-centric culture. Karyn is an amazingly positive person with an abundance of knowledge about releasing creativity to make improvements. She is a true leader and supports a fresh new perspective in the continuous improvement field! Helping People. Improve The World.